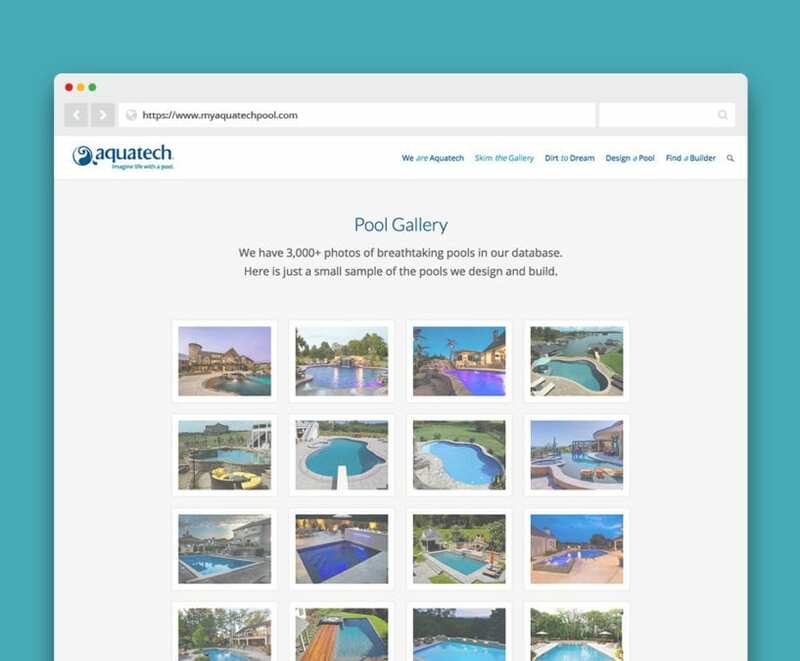 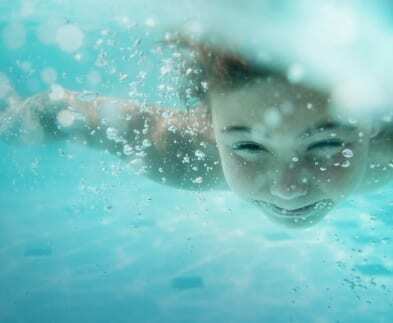 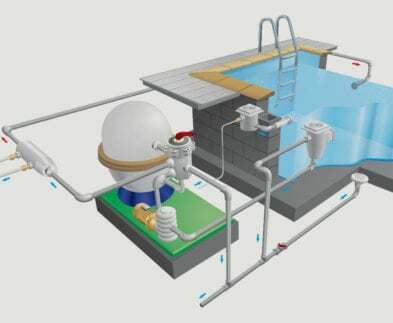 Aquatech Pools is managed by United Aqua Group, a company comprised of over 230 residential pool builders, commercial pool builders, pool retailers and service professionals. 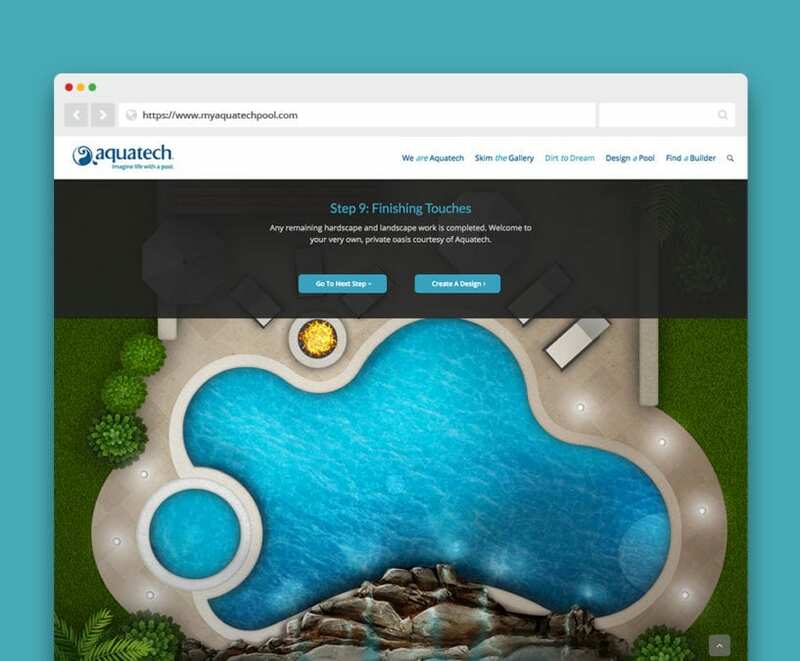 They specialize in custom pool and water feature installations having designed and installed nearly thousands of pools across the United States. 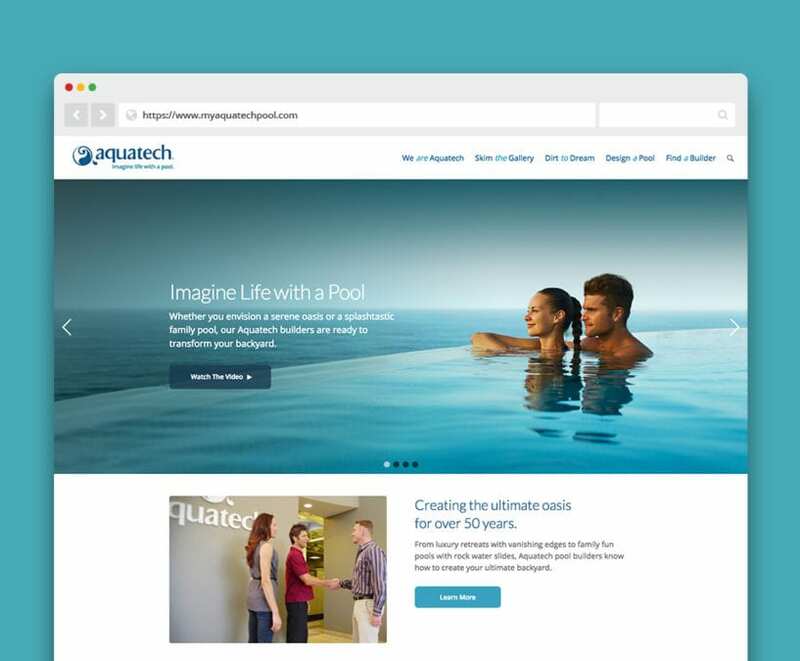 When they approached ACS their current website had stopped functioning and more critically, leads had stopped coming in. 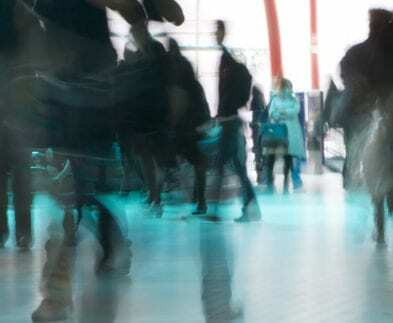 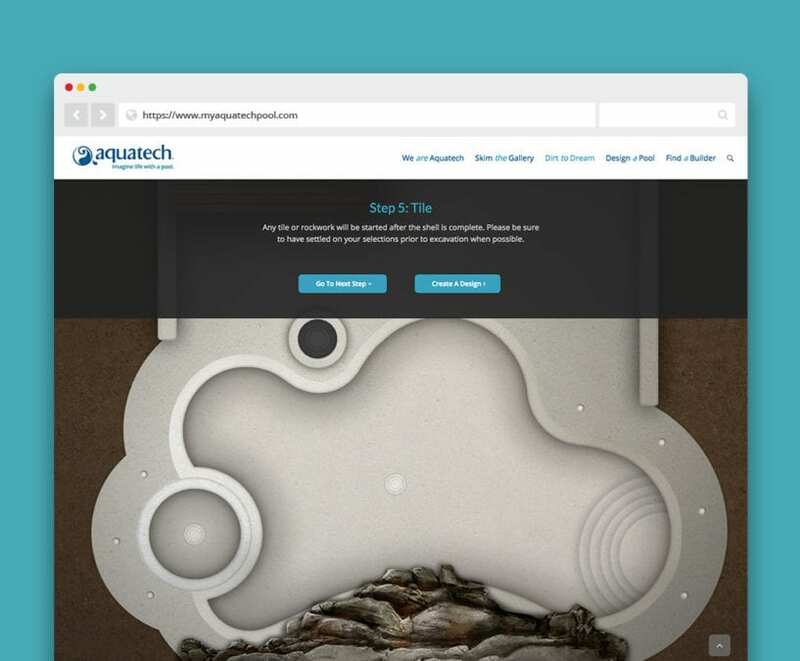 They needed a new site built quickly to get things back on track. 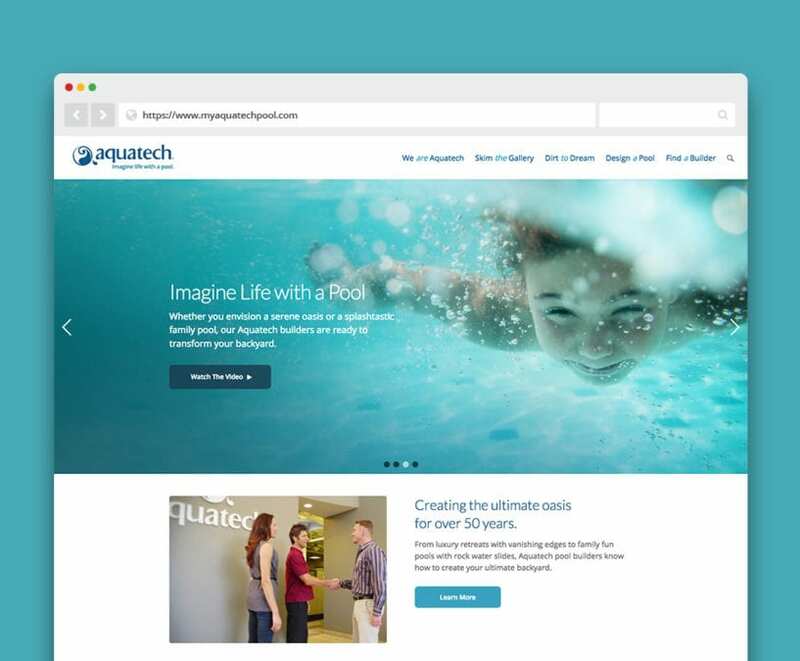 What we delivered is a streamlined site that not only looked good but functioned on a very high level. 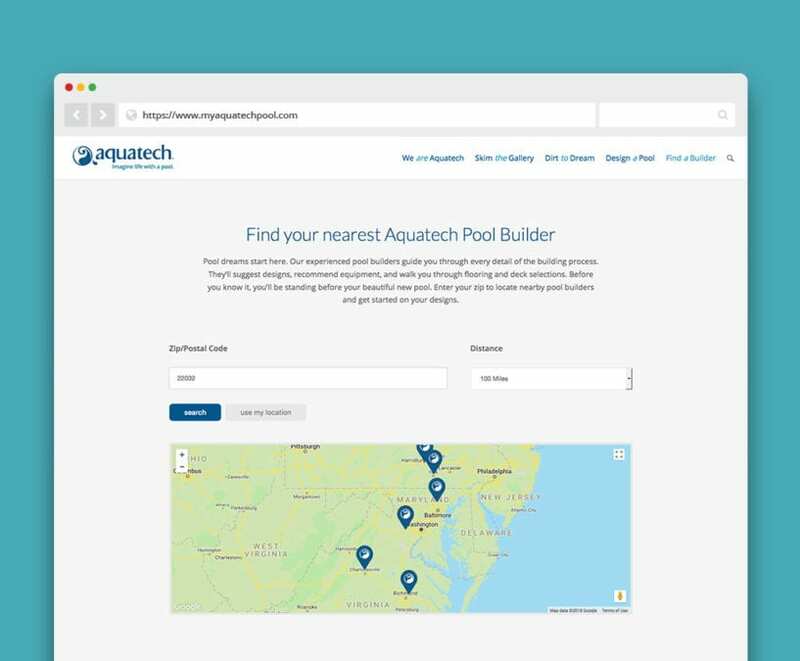 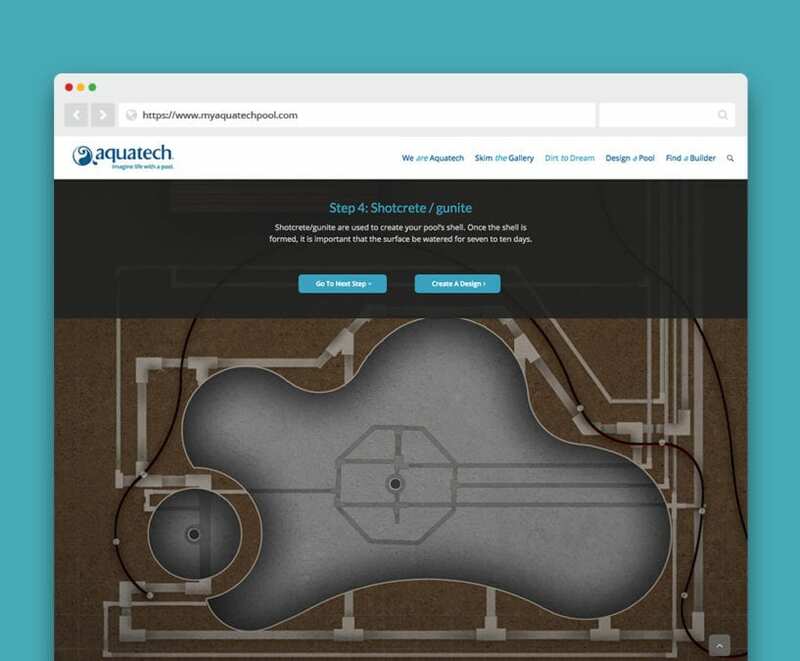 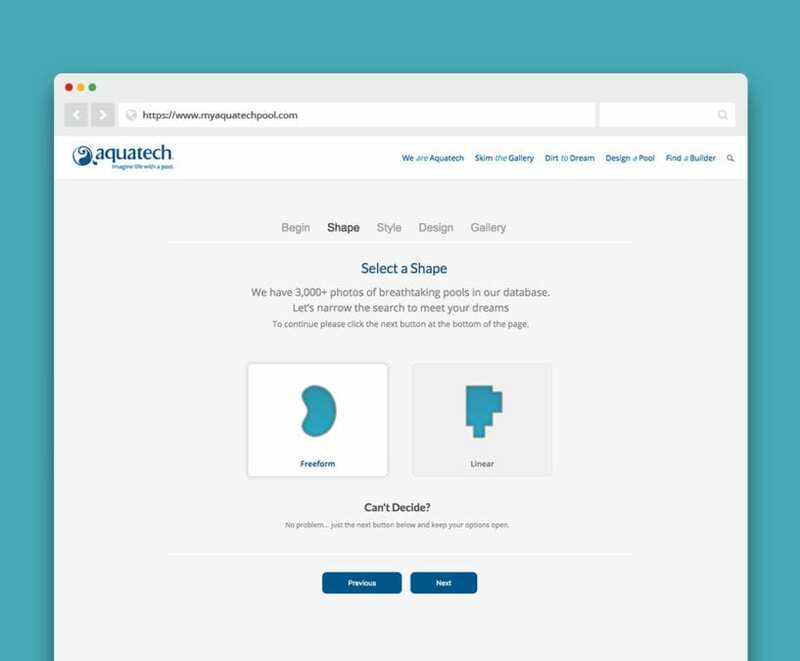 From the product gallery to the interactive pool builder and locator tools we wanted a site that matched the level of precision that their products reflected. 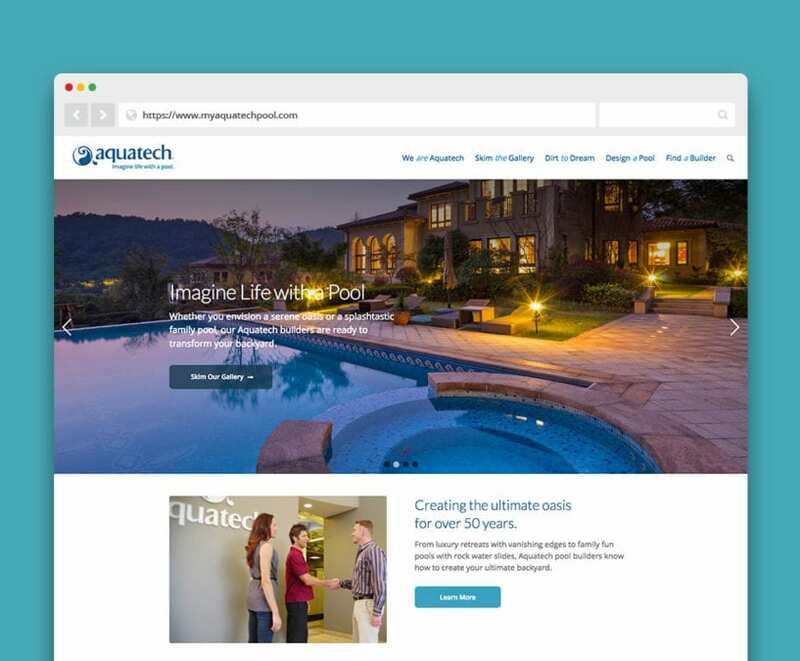 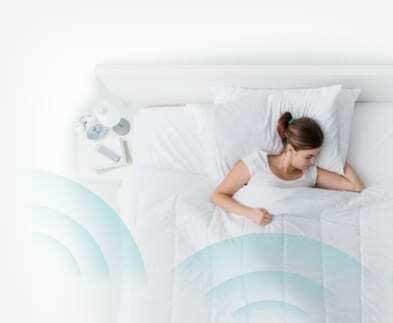 We carefully selected imagery and created custom graphics and renderings for various regions of the site to ensure the final product was well branded.